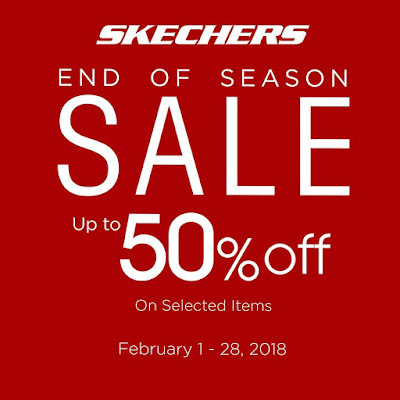 It's Skechers End of Season SALE! Get up to 50% off on selected items until February 28, 2018! Hurry and grab those comfortable and stylish shoes before they run out! 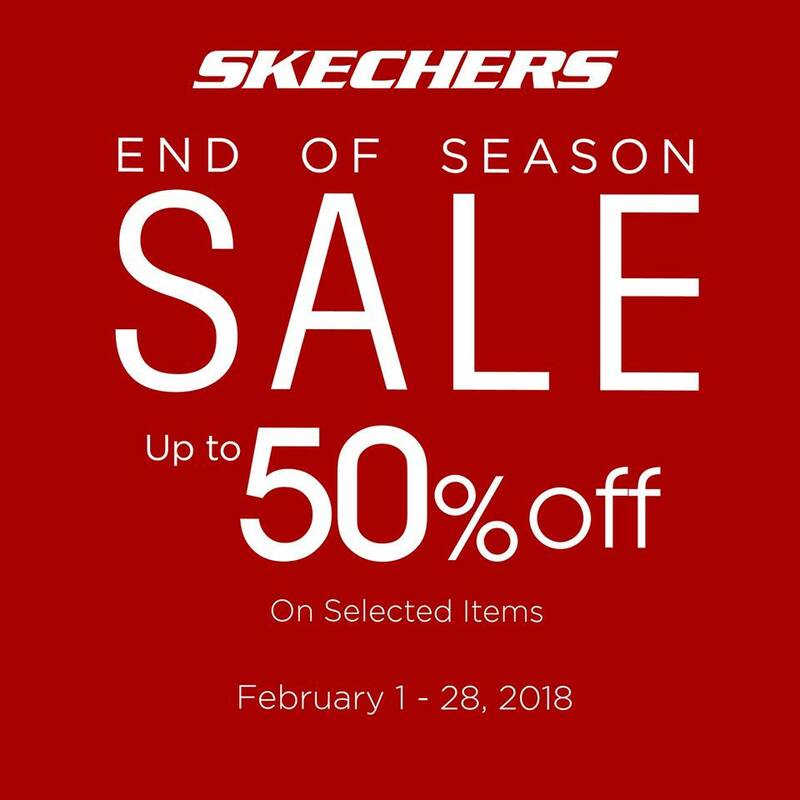 Skechers stores are located at Glorietta 2, Trinoma, SM North Edsa -The Annex, Ayala 30th, Robinsons Galleria, Gateway Mall, Market Market, Robinsons Place Manila, Lucky Chinatown, SM Mall of Asia, Alabang Town Center, Festival Mall, SM Southmall, SM Bacoor, Robinsons Gen. Trias, SM Dasmarinas, SM Lipa, SM Fairview, Ayala Fairview Terraces, SM Clark, SM Pampanga, Marquee Mall, SM Cabanatuan, Robinsons Place Ilocos, Ayala Malls Legazpi, Ayala Center Cebu, SM City Cebu, SM Seaside Cebu, SM Bacolod, SM Iloilo, SM Davao, Abreeza Mall, Gaisano Mall, LimKetKai Mall, and Centrio Mall.